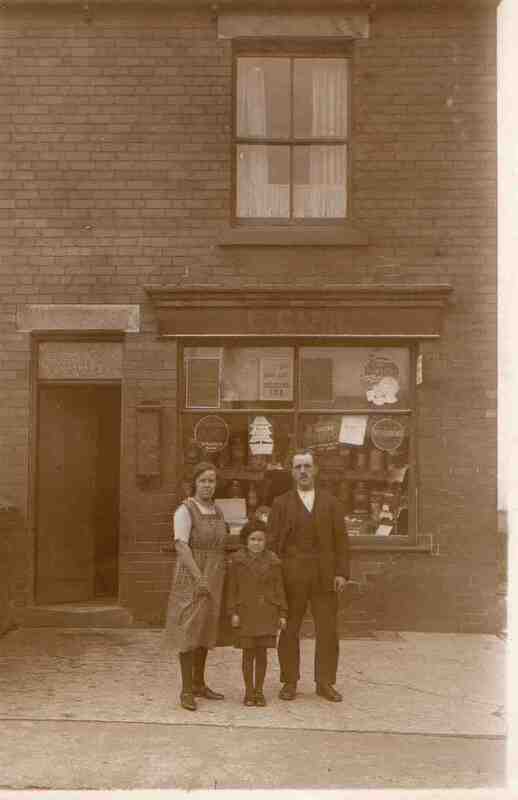 Emily Carr (nee Cordy), John Carr, Edna Carr outside their shop on Rotherham Road. Now a private residence. Photo courtesy of Glynn Beedham.